for orders of £10 & over. Copyright © 2011 Priti Indian. All Rights Reserved. If you're looking for Indian take-aways in Eastbourne, look no further. Priti Indian is situated in the Old Town of Eastbourne, and offers a good selection of Indian curries. Delivery is free for orders of ten pounds or more. Priti Indian cooks all the dishes you would expect from any of the Indian take-aways in Eastbourne, and even some of its own original Indian dishes. The service, including the delivery service is outstanding. 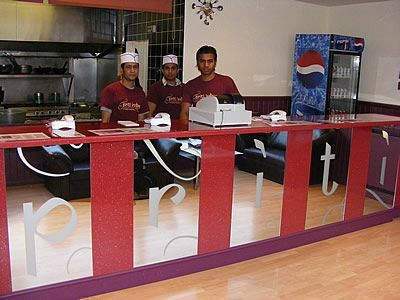 Priti Indian is one of the best Indian take-aways in Eastbourne. The take-away offers 10 per cent discount to everone who colletcs, or to pensioners and students. Priti Indian is closed on Sundays. The Priti Indian has an open kitchen, which will reassure fans of curries in Eastborne. Priti Indian delights in re-assuring clients, that the food is prepared from the finest ingredients by our master chefs in front of your eyes. As well as this, the good people at Priti Indian have decided that if the plethora of choice on the menu does not satisfy the people looking for curries in Eastbourne, then any dishes that are not on the menu can be prepared on request.